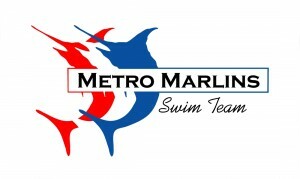 The Metro Marlins Swim Team is a member team of USA Swimming. The program includes conditioning, stroke technique and swim meets against other Minnesota swim teams. Anyone interested in competitive swimming is invited to try out. All swimmers must be able to swim the following without stopping: 25 yards of front crawl with side breathing, 25 yards of backstroke, and passed Red Cross Learn to Swim Level 4. Our team is divided into three levels: Red, White and Blue. All levels are encouraged to join USA Swimming and compete at meets. Swimmers are evaluated for team placement based on performance and the final decision of the head coach. Click here to visit the Metro Marlins Team Unify Site.